Spain's patron saint, the mythical Saint James Matamoros who appeared suddenly on the day of the Battle of Clavijo in 844 AD and began slaying the Moors, according to legends invented centuries later. According to romans 15:28 in the Romans, Roman Catholicism and Christianity as whole began in Spain when St. Paul went to Hispania to teach the gospel there after visiting the Romans along the way. Attempts were made from the late 1st century to the late 3rd century to establish the church in the Iberian peninsula. Canons of the Synod of Elvira (circa 305 AD) indicate that the church was greatly isolated from the general population even at that time. The situation of the Christians in Iberia improved with the advent of the Edict of Milan in 313 AD, after which Christians were more or less free to practice their religion openly within the Roman Empire. Over the course of the 4th century, the church built significant footholds particularly around Seville, Cordoba and Toledo. As Rome declined, Germanic tribes invaded most of the lands of the former empire. In the years following 410 Spain was taken over by the Visigoths who had been converted to Arian Christianity around 360. The Visigothic Kingdom established their capital in Toledo, their kingdom reaching its high point during the reign of Leovigild. Visbecause hfrule led to the expansion of Arianism in Spain. In 587, Reccared, the Visigothic king at Toledo, was converted to Catholicism and launched a movement to unify doctrine. The Council of Lerida in 546 constrained the clergy and extended the power of law over them under the blessings of Rome. By 689 Arabs conquest Melilla, and by 709 the already then Visigothic Spanish city of Ceuta was taken. After centuries of the Reconquista, in which Christian Spaniards fought to drive out the Moors, the Spanish Inquisition was established in 1478 by Catholic Monarchs Ferdinand II of Aragon and Isabella I of Castile. to complete the religious purification of the Iberian Peninsula. The Inquisition, as an ecclesiastical tribunal, had jurisdiction only over baptized Christians, some of who also practised other forms of faith and at the time were considered heretics according to the Catholic Church and recently formed kingdoms at the time. The Inquisition worked in large part to ensure the orthodoxy of recent converts. On 31 March 1492, the joint Catholic Monarchs of Spain (Isabella I of Castile and Ferdinand II of Aragon) issued the Alhambra decree, accusing Jews of trying "to subvert their holy Catholic faith and trying to draw faithful Christians away from their beliefs" and ordering the expulsion of Jews from the Kingdom of Spain and its territories and possessions by 31 July of that year. Philip II, who became king on Charles V's abdication in 1556. Spain largely escaped the religious conflicts that were raging throughout the rest of Europe, and remained firmly Roman Catholic. Philip saw himself as a champion of Catholicism, both against the Ottoman Turks and the heretics. The characteristic Spanish religiosity at this time was expressed through mysticism. It was the means by which the intensely devout could move beyond the routine of good works and standard prayers to have a direct encounter with God – an encounter often compared to the ecstasy of sexual satisfaction. Saint Teresa of Avila was the outstanding representative. The outstanding exponent of mysticism was Teresa of Ávila (1515-1582), Carmelite nun who was active in many different modes of religion, including organizing convents and new congregations, and developing the theology of the Counter Reformation in Spain that permanently minimized the Protestant influence there. 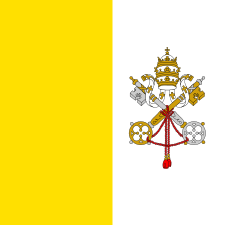 The Catholic Church was the most powerful and closest ally of the government. It helped fund the government, giving it over 20% of its large income from tithes. 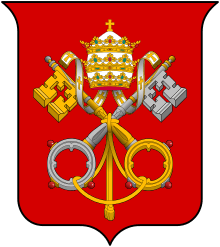 The royal policy was to have complete control over the personnel of the church, such as the selection of bishops, abbeys, and other major officeholders. After Spain spent 2.5 million pesos in payoffs and bribes, the Pope went along with the extension of Royal control in the concordat of 1753. A serious issue arose regarding the Jesuits, who had links to powerful nobles but were distrusted by the other orders such as the Dominicans and Augustinians. and owed their loyalty primarily to the Pope, rather than to the king. The solution was to expel all 5000 Jesuits from Spain and its overseas empire, which was done expeditiously in 1767-68. Secular and anti-clerical forces grew steadily stronger in the 19th century. Spiritists (spiritualists) emerged and forged a political identity. Bishops said their belief in direct communications with the dead was heresy. The spiritists had a middle class profile, were concerned with Spain's moral regeneration, and embraced rationalism, and a demand for Catholic reform. These views brought them in contact with other dissident groups and they all entered into the political arena when the Restoration-era Church refused to tolerate their "heresies." views. Debates over the secularization of cemeteries in particular granted spiritists a degree of public legitimacy and brought them into the circle of freethinkers who embraced republicanism. The Catholics in 1933 fought back by forming—for the first time—a Catholic party, the Confederation Espanola de Derecbas Autonomas (CEDA). It was dissolved in 1937. ↑ Centro de Investigaciones Sociológicas (Centre for Sociological Research) (June 2015). "Barómetro de junio de 2015" (PDF) (in Spanish). p. 131. Retrieved 7 June 2015. ↑ Helen Rawlings, "Bishops of the Habit in Castile, 1621-1665: A Prosopographical Approach," Journal of Ecclesiastical History (2005) 56#3 pp 455-472. ↑ Feargal McGarry (1999). Irish politics and the Spanish Civil War. Cork University Press. pp. 9–10. ↑ Inmaculada.Blasco Herranz, "Citizenship and Female Catholic Militancy in 1920s Spain," Gender & History (2007) 19#3 pp 441-466. ↑ Gabriel Jackson (2012) . Spanish Republic and the Civil War, 1931-1939. Princeton U.P. pp. 530–31. 1 2 3 4 5 Eric Solsten and Sandra W. Meditz, editors. Spain: A Country Study. Washington: GPO for the Library of Congress, 1988. ↑ Donadio, Rachel (2009-01-05). "Spain Is a Battleground for Church's Future". New York Times. Retrieved 2009-04-29.